Recover Photoshop File on Mac Now! "I have a Photoshop file disappears on my Mac. Is it possible to re-acquire it? Please give me some suggestions for how to recover Photoshop file on Mac." You can always see people are asking this kind of question at Quora and other types of forums. Sometimes, you want to restore Photoshop files on Mac due to deleting, lost or emptying trash. But, you may don’t know that retrieve disappeared/deleted PSD file is different from recover unsaved Photoshop file on Mac or recover previous version of Photoshop file on Mac. So, please choose the right Photoshop recovery Mac solutions to successful get your PSD files back in Mac OS X. 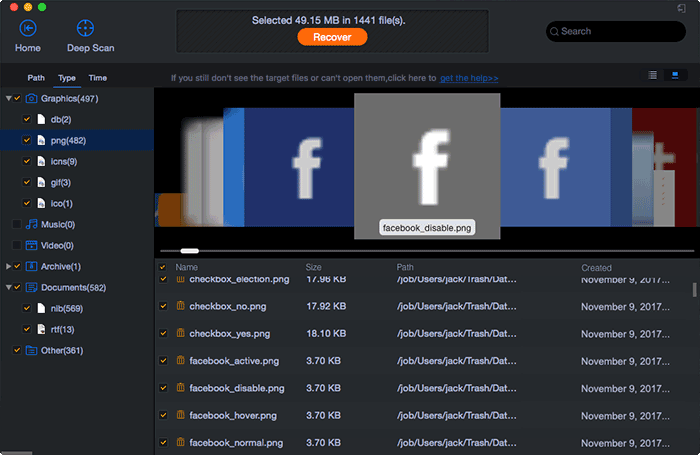 Why I strongly recommend you try this way to do Photoshop file recovery on Mac first? The reason is quite simple. If you have deleted the PSD file from Mac computer or external hard drive, you need to recover Photoshop file on Mac in the first place. Because, deleted or formatted files is not permanently disappeared. If not, while you try the other ways, it might be overwritten by new data which will result in the permanent deletion or lost. It means if Photoshop is very important, then the result will be worse. 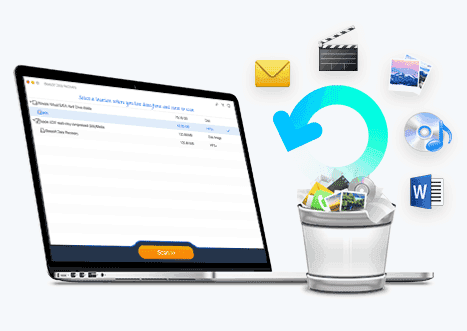 Recover almost all kinds of files on Mac, including lost Photoshop files, documents, images, videos, and more. Recover Photoshop file on Mac in any scenarios, such as deleted, emptied trash, corrupted, unsaved Photoshop files, formatted drive, reinstallation Mac OS X, virus attack, etc. The Mac undelete or unformat tool offers 2 recovery modes meet your requirements: Quick Scan to save time or Deep Scan to ensure a better Photoshop file recovery Mac result. Easy-to-use for individuals to use with the built-in wizard. Here are the guides to recover lost or deleted Photoshop file on Mac. Click the download button to get the PSD file recovery software installation package. Install it on your Mac. Feel free to do it. It fully supports the macOS Sierra and Mojave. Step 1. 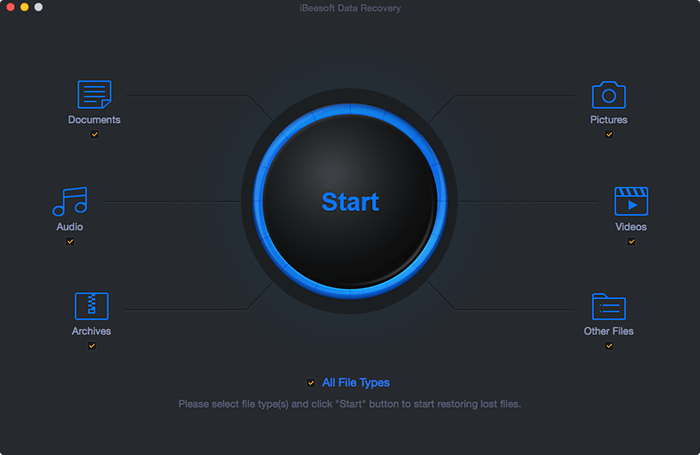 Launch the Photoshop file recovery Mac program. From the very first window, please uncheck other types of files and only keep the "Pictures". It means the software will carry out the scanning process only for Photoshop files. It will save you much time for the scanning process. Click "Start" to begin to work. Step 2. In the next new window, you need to select the location from where once your Photoshop files are deleted or disappeared. 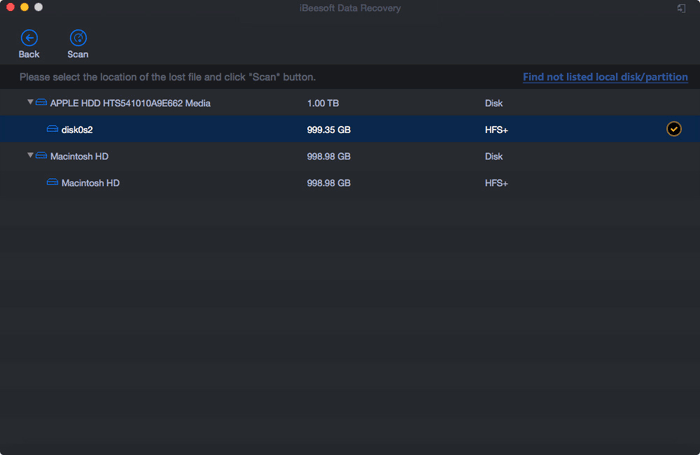 Next, click "Scan", letting the application begin to work for recover deleted Photoshop file on Mac. Step 3. From now on, you can see the software is scanning for the disappeared Photoshop files on Mac for you. It might take a few minutes. The time is based on how many files it can find for you. The longer, the better the result. After then, you can see all found PSD are sorted into categories in the left side. You can filter out the files, preview them. Found the wanted ones, select them and click "Recover" to save lost Photoshop files on your computer. This way is safe and efficient. It will never cause any data overwritten issues. It is the best way to recover Photoshop files on Mac. Step 1. 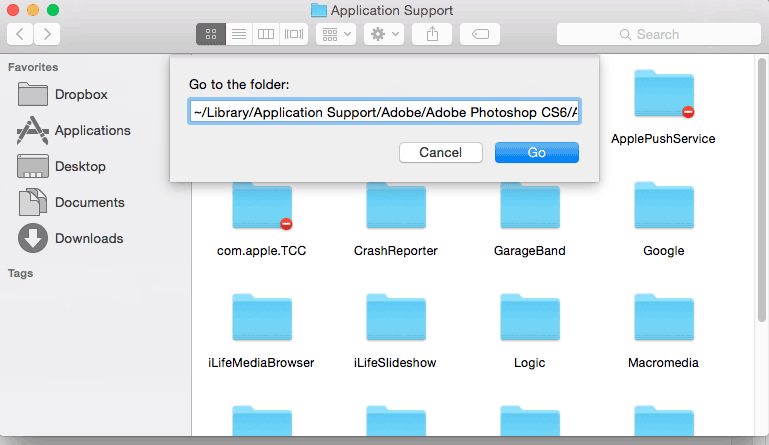 Go to the Finder, find Library and choose Application Support. Step 2. Select Adobe and click Adobe Photoshop. Step 3. Choose AutoRecover and you will see the lost or unsaved Photoshop files on Mac. Time Machine is offered by Apple as a way for people to retrieve Mac with the backup file, preventing data loss issues due to accidents. Here are the steps for how to use Time Machine to restore previous version of PSD files on Mac or recover deleted Photoshop file on Mac. Step 1. Click Time Machine in the Dock. 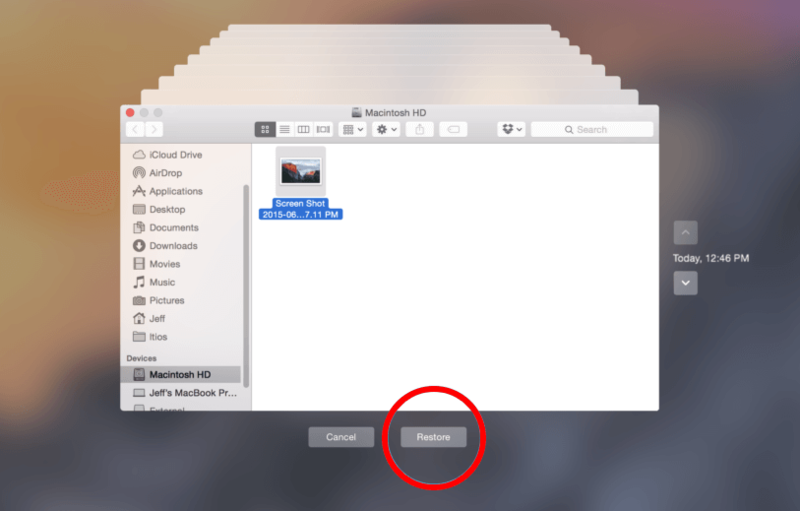 If you have used an external hard drive as the storage for Time Machine, please connect it with your Mac first. Step 2. Open Time Machine and find the backup which contains the Photoshop files you’ve deleted or unsaved. Select it and click Restore to recovering Photoshop files on Mac.